The OUMIER Wasp Nano RDA is SUPER-cheap and is something of a flavor chucker as well. Does it deserve a place on your tank shelf? 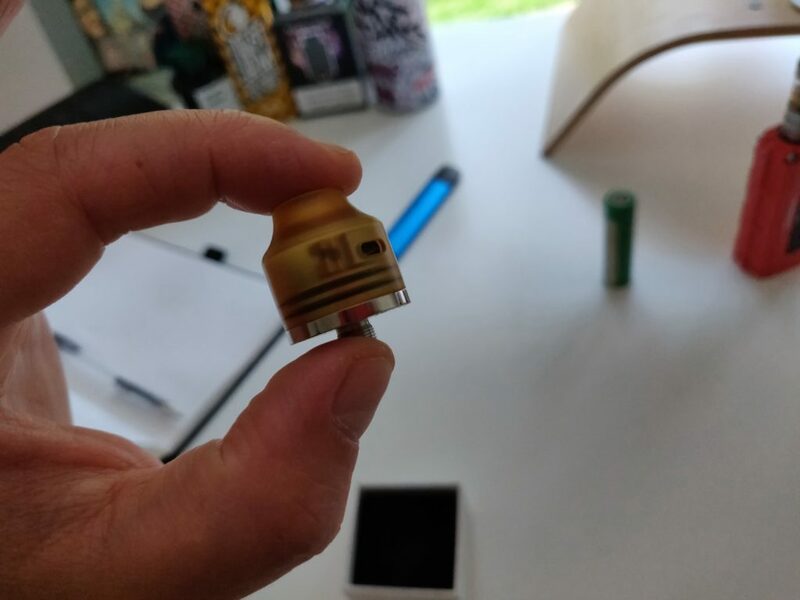 In a world where big RDAs are the WORD, the OUMIER Wasp Nano RDA represents something of a change of pace. It’s a teeny, tiny little RDA. Just 22mm. And unlike most RDAs around these days, it has a tiny juice well and a rather small deck. It’s also a single coil setup as well. And this, combined with a few other things, makes for a rather interesting experience. As I said above: this thing is TINY. Hell, even the box it comes in is small and unassuming. 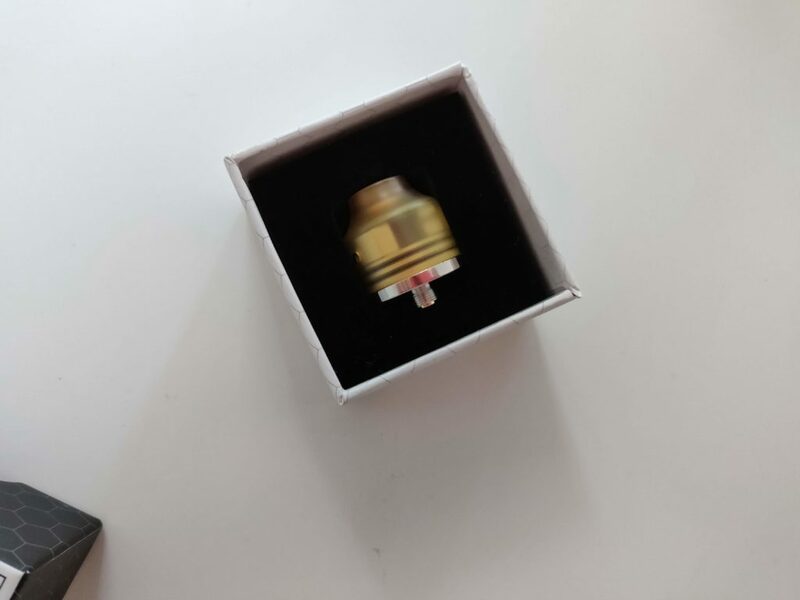 Everything about the OUMIER Wasp Nano RDA is spartan. And I think that’s kinda the point. 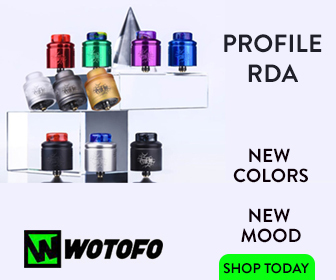 You see, this RDA tank only costs $15.99 – and that makes it VERY cheap. And this cost was likely achieved by scaling down the size of everything, keeping this bare bones, so to speak. There are only two parts to the entire kit: the deck and the chimney, which sits on top of it. You have dual-airflow on the sides of the deck which you can use to tighten up the draw. Personally, I find it vapes best wide-open, as things get a little too hot when it’s closed off too much. I’m kind of on the fence about this one, to be honest. On the one hand, I like how small and compact it is. And that is it squonk compatible. But on the other hand, I don’t really like how the mouthpiece section gets all clouded up with condensation. It just looks a little messy to me. There is a simple solution to this problem, however, and that is to go with a non-Delrin version of the tank. The build materials are decent enough too; the deck is gold-plated and the construction of everything else feels very much on point. If you’re after a tidy, little RDA for chucking some flavor, I can see A LOT of people quite liking the look of the OUMIER Wasp Nano RDA. Me? Again, I’m kinda on the fence about it. I like it, but I’m not in love with it. I tend to prefer larger RDAs like the Recurve RDA. It’s just more my bag. The deck itself, like the entire setup, is small, compact and pretty well thought out. The clamps and terminals are easy to work with; simply drop a coil in and tighten her up. 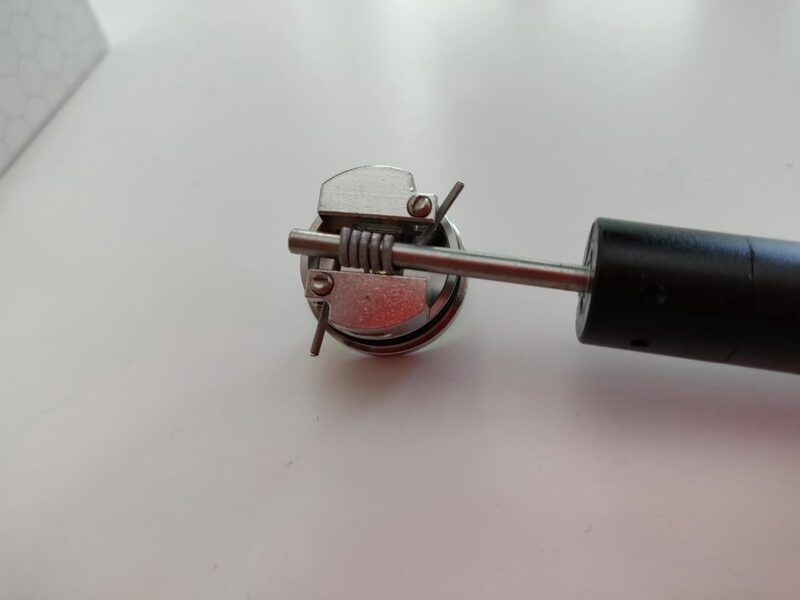 Clip your leads and you’re good to start wicking. 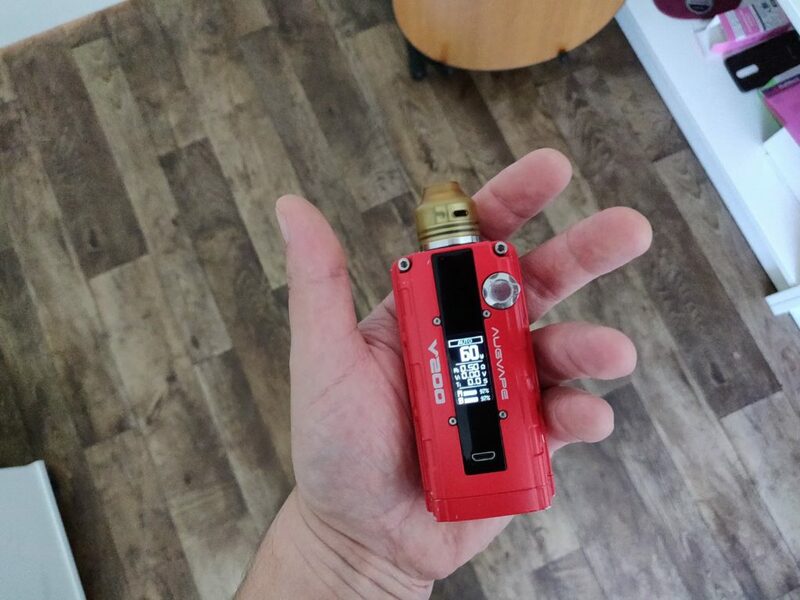 This is one of the easiest RDAs to setup I have come across recently. It took me less than four minutes from start to finish. PLEASE NOTE: if you place your coil too high, you will get A LOT of spit back. Basically, you want it placed nice and low. Do this and you’ll have no trouble with spit back. 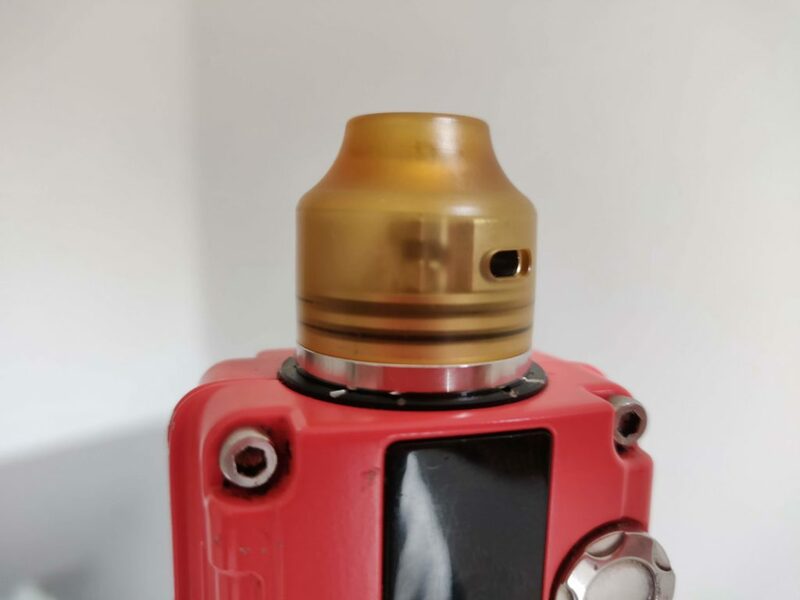 The OUMIER Wasp Nano RDA is very solid in the flavor department, a thing that is likely achieved by the proximity of the coil to the mouthpiece. Get the placement right, and flavor’s on point. You NEED to place it pretty low in the deck. Do this and everything works great with excellent flavor production. And because it’s a single coil RDA, you don’t really need to run it at high wattages. I found it performed great between 45-50W for instance. 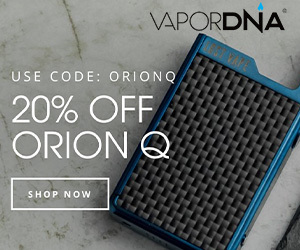 The upshot of this is that it won’t destroy your battery if you’re using a single cell mod like I was (GeekVape AEGIS) during my testing period. 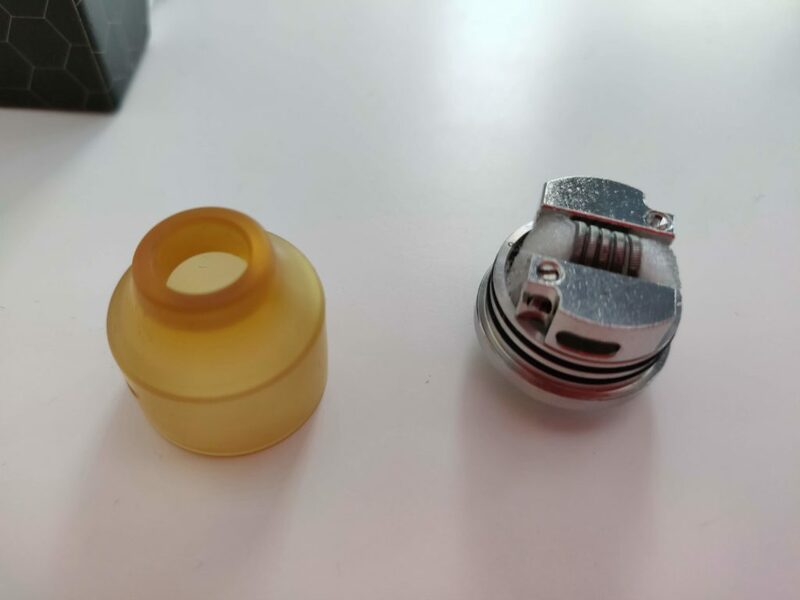 The OUMIER Wasp Nano RDA isn’t one of the greats. Nor is it a classic. But it is definitely OK – even more so when you consider the price ($15.99). 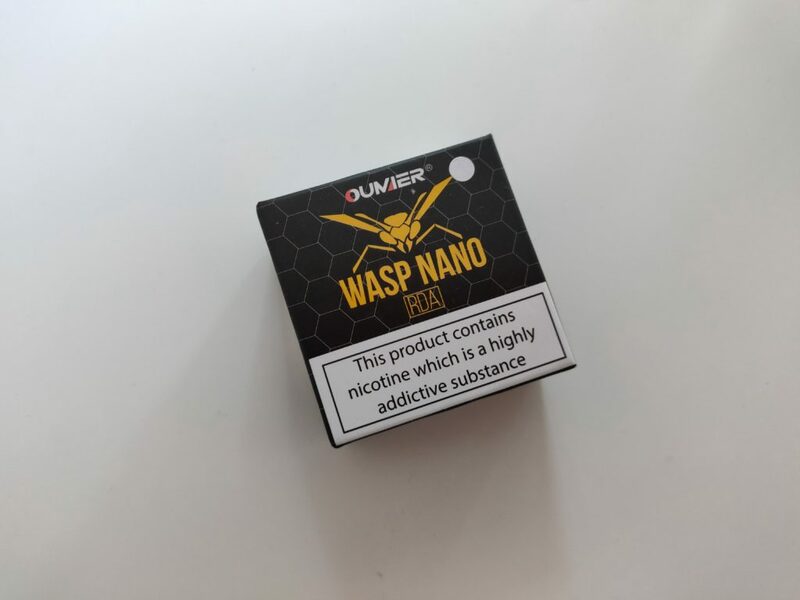 If you’re after a cheap, easy to use RDA that delivers great flavor then the OUMIER Wasp Nano RDA comes recommended. Speaking personally, this style of RDA isn’t really my cup of tea. But I can definitely see why plenty of vapers would dig it.